I had the pleasure of spending time with Susan Gravely of VIETRI at one of our Southern Lady Celebration’s weekends years ago. She is a delightful lady and captured the hearts of everyone there. I loved the story of how their business, VIETRI, was birthed and how it continues to grow. You will find stunning VIETRI pieces all throughout the pages of our magazines at Hoffman Media. I was strolling through Bromberg’s the other day just looking at the beautiful china and tableware. My eyes were drawn to a new offering from VIETRI called “Natura.” As you know I have a love for acorns, and these pieces were beautifully adorned with birds and acorns. Here is the story of VIETRI. Their story is a lovely example of how there is always a defining moment of inspiration that leads to the start of something wonderful. The Gravely sisters grew up in the South, where porches wrap around the house, lightning bugs illuminate the night sky, entertaining is a way of life, and visitors are always welcome—especially around the dinner table. Susan and Frances remember well the careful preparation behind a special evening, and they were often asked, as most children are, to help set the table. Little did they know, that very chore would turn into their life’s passion. Their story starts with a magical trip to Italy in 1983. Susan, Frances, and their mother, Lee, headed first to the Amalfi Coast where they checked into the San Pietrio Hotel in Positano. 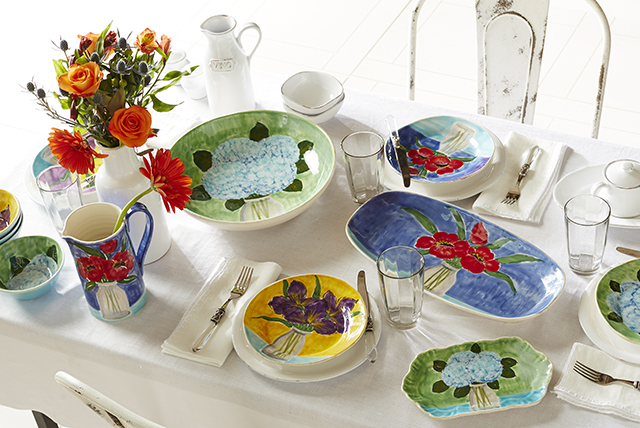 During lunch at the hotel, the three women found themselves captivated by the hotel’s colorful, handcrafted dinnerware. They immediately arranged to meet the artisans of the dinnerware at a nearby factory in the town of Vietri sul Mare. Their time at the small, bustling factory left them enchanted. Susan, Frances, and Lee were so taken by the Italian artisans’ craftsmanship that they ended up spending three days with them, watching as they painted, glazed, and fired each piece by hand. That was more than 30 years ago, and in the time since, VIETRI has become the largest American importer of handcrafted Italian tableware and home décor products, working with multiple family-owned and -operated factories throughout Italy. A leader in design, craftsmanship, and customer service, the VIETRI brand both complements the American lifestyle and celebrates all that is irresistibly Italian: a love of life, people, nature, and good living. 1. Do you have creative control over all the designs that are made under the VIETRI name? Susan: Absolutely. At the end of the day, all of our designs are created to fit our American customer needs with an Italy-inspired twist. Our design team and I collaborate with our Italian colleagues at every level of development—from trend discussions to idea inception to the final design. I have the final say if there are any discrepancies within the team. 2. I can’t imagine creating new lines of dinnerware. What is the process that you go through before the final line goes into production? There is never a day when I am not browsing a fashion or home magazine or listening to a lecture or discussing an idea with a colleague or consumer. It may be a chilly, shimmering dawn that presents a color or leaf pattern. It may be a moment while in Italy. Design inception comes from life—any time, any place. The process of design can begin as early as three years in advance, as we experienced with our Forma collection. As a team, we present ideas that may be additions to current lines or a completely new idea in a new direction. We also scour European shops and trade shows for current directions. After a series of ideas are decided upon, we work with our factories through visits, Skype calls, or e-mails and begin mold making with maestros in our industry. While deciding on the forms, we are working on colors and using home colors that are indigenous to Italy and to our look. We will create a series of looks, fine-tune them, and at last arrive at the perfect collection. The ceramic part of a collection is usually first. We then add fabrics and/or glass and/or other materials to build the look. 3. Can you give us a sneak preview of things to come from VIETRI? We are working on a wonderful new sea collection, which will be a combination of ceramics, glass, and linens. The colors will be white and sea-washed turquoise. The shimmer of the glass is incredible! We are also creating three new colors to add to Forma, our newest stoneware collection—the colors of the group are named in honor of our environment: cloud, leaf, and surf—and soon sunset, sand, and earth. There will be flatware, glass vases, and trays and linens as well. 4. What do you enjoy the most about your business? What do I enjoy most about VIETRI? Right now, I am loving thinking about your questions! I love to dream and imagine how our products will fit into someone’s home and how we can help every person create their own memories and heirlooms. I love that we have brought so much joy to so many people. I love that I enjoy an incredible group of long-term employees in North Carolina as well as passionate sales reps and loyal stores. I love that it feels like people who enjoy VIETRI understand that the greatest values in life are about caring for others, being honest in your life, and about having fun. It is about bringing people together. 5. Please share a memory you have of the 30 years of being in business. The first container arriving in North Carolina is a memory I will never forgot. Momma came with her four close friends (ages 55-75) from Rocky Mount, and Robert Kelly employed some college friends as well as went to the bus station and hired folks out of work. My sister Frances and I had two other employees. We opened every piece in every box and counted it by hand. The next morning, March 24, 1984, we shipped our very first order to our very first account: Neiman Marcus. They have been an account ever sense! Since our beginning, VIETRI’s mission has remained the same, to inspire the celebration of life with family and friends through the beauty of handcrafted Italian designs for the table, home, and garden. We believe in cherishing those moments that bring meaning to our lives. Visit vietri.com for more information, pictures of products, and a listing of preferred stores. Yes, I had the same problem. I ended up having to throw them away and nothing I did resolved the issue of mold. I couldn’t handle that! 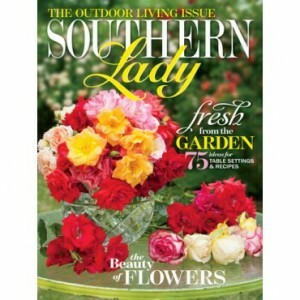 Thank you Phyllis for shopping with us at Bromberg’s You know we are a fan of your publications. We love Vietri as well and have been a partner with them for over 25 years. 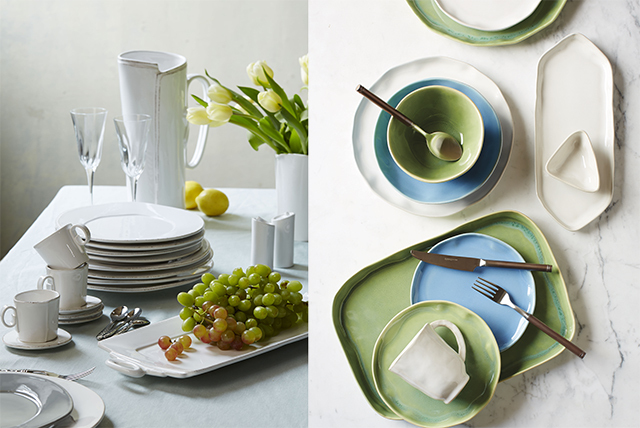 Our brides and mature customers continue to be drawn to their tableware for casual entertaining. We look forward to seeing additional designs from Vietri in the fall. You have a great styling team that we look forward to seeing as well. They are comfortable coming to us for product support and we appreciate them. Just love Vitro maybe because its Italianlike me but I don’t think so. I am a colorful person so I love the bright artistic work. Thanks so much on giving us the “story” behind their start. Maybe they can come to Florida sometime. I love Vietri pieces. I actually bought two Santa plates at that very Southern Lady Celebration. It is a wonderful story and dishes are also a passion of mine as well. Thank you for sharing and I miss SLC! They were events that allowed me to be me and relax and got me back on track. Funny, I just read about Vietri….we are planning a trip to Italy this summer and we will be on the Amalfi coast/Positano. I had already decided I would bring a piece or two home. I have never heard of Vietri, but will definitely look for it. The seaside collection sounds wonderful! It must be so exciting having such a colorful, artistic business of your own. I love the floral bouquet designs. What a wonderful story. I love the serving pieces and have a couple of them. Can’t wait for the seaside collection! Wonderful story about inspiring people and beautiful collections. Thank you! I, too, loved her story. Great post and have always, always loved Vietri! Wonderful post. I have known about Vietri, but never knew the story behind the brand. Thank you, Phyllis!